The colour displays offer superior clarity and wide viewing angles. DOMINION Electronics has released the EasyView range of touch screens, from low-cost black and white screens to high-resolution colour touch screens. 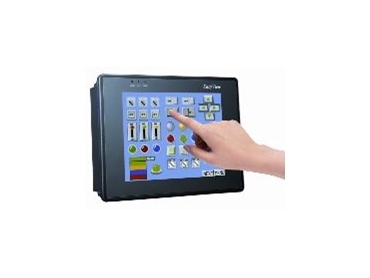 The 32-bit RISC-powered human machine interfaces (HMIs) support direct communication with most PLCs, eliminating the need for special data communication programs. The touch screens use a fast RISC processor, supporting complex graphics. PLC drivers are available for brands including Allan Bradley, Siemens, Omron, Mitsubishi and Koyo. Super twisted nematic (STN) and thin film transistor (TFT) screen sizes include 5.7-inch mono, 5.7-inch colour, 7.7-inch colour, 10.4-inch mono and 10.4-inch colour. The colour displays offer superior clarity and wide viewing angles.